The History Girls: THE BOOK OF BOSSY GIRLS? By Penny Dolan. Recently my interest was caught a media discussion: the kind where X says this, so Y spouts up with that, often through tweets and social network sites, and giving both X & Y & also Z material for an article or two. This controversy was about the use of the word “bossy” to describe girls. It does come across as a word drenched in negativity and rejection. For one thing, “bossy” is what girls aren’t supposed to be, but it is hard to refute without sounding – er, bossy. 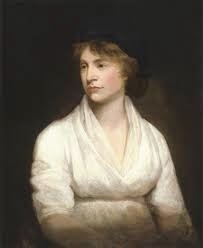 Last year, researching Mary Wollstonecraft for a short story, I read Clare Tomalin’s excellent biography. By the end, I had decided that Mary, though hugely admirable, was probably not a very comfortable person to be around for long. Mary had opinions she wanted to share, better beliefs she thought herself- and others - should live by, and much to feel angry about, at both a personal and general level. She organised her family and friends, who were not always grateful or glad, and she spoke and wrote against what she saw as injustice and inequality. In other words, Mary was probably a bit difficult and, yes, sometimes bossy. Do women ever get anything done without being accused of being bossy, I wonder? 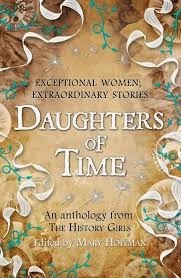 What about the women in the past who fought alongside men – Boudicca and her daughters, or maybe Alfred’s daughter Aethefled? Or Mary Seacole, caring for her soldiers even if Florence Nightingale’s hospital rejected her? What about the girls and women who negotiated their roles among the dangerous men of power: Lady Jane Grey, Elizabeth Stuart, or the remarkable Eleanor of Aquitaine? Or women like anchorite Julian of Norwich, playwright Aphra Ben, or even my Mary – women whose writing explains how they see life and their world? Isn’t writing, as authors and journalists know, a way of raising your voice? Speaking out has often been seen – or heard – as a problem, the ultimate demonstration of bossiness: the women protestors at Greenham Common became the stereo-types of stridency. In contrast, Emily Davison, facing the king’s horse, used her own body as a way of “speaking“ when people in power wouldn’t listen. What about those who persisted in their own paths? There is Mary Anning, the self-taught fossil-hunter whose discoveries were subsumed into the collections and reputations of wealthy and aristocratic palaeontologists? Or what about the persistence needed to be Amy Johnson, the first woman to fly solo from Britain to Australia, and who may have been a British spy? Amazing women, all. Rachel Short, an organisational psychologist says that the key aspects of “game changers” were their intellectual independence, the fact that they were socially eclectic and that their motivation was guided by initiative, resilience and deep-rooted self-belief. Unsurprisingly, the words “difficult” and “bossy” came up again. (Not the word "cranky", though that might fit too.) It seems that bossy girls and women – and you will have your own favourite heroines – are often those who make things happen, however subtly or noticeably they manage it. Perhaps “bossy” is a kind of compliment, after all? Available in ebook? I can't find it on iBooks. I don't think it is an ebook, Sue, at least not yet. How amazing it would be if we could re-brand "bossy" as a compliment! Perhaps, from now on, when called bossy we should smile and say, "Why, thank you!" Lovely post, Penny. Wonderful how you got all the Daughters of Time in there - bossy to a woman. Let bossy girls reign! My earliest nickname, given to me by my parents, was 'Bossy Boots,' and I can't say I've ever found it insulting. My parents, living with my infant Will to Rule, used it with a sort of irritated pride. - I think it's often used like that - it frequently is a compliment already, Joan! I agree. You'll never get rid of the word, so change the meaning. When it isn't used a compliment, take it as one. You can't be the Boss unless you're bossy. And if someone calls you 'bossy' they're acknowledging, however grudgingly, that you're taking charge. I love calling our anthology the Book of Bossy Girls! Should be our subtitle. Yay for Bossy Girls! And for Daughters of Time! + Love the lettering on the cover design. Brill. Us Peace Women never bothered about being called bossy, or barracking - I remember bawling out a guy who started to try and 'define' Greenham (and he got it wrong) 'I'm not having a man tell me what Greenham is all about!' I was mouthier in those days, but still.. in any case, the moment a woman stands out for something, she is liable to be called 'aggressive' or 'strident.' We have to just ignore it, or nothing will ever change. Very clever post, Penny! Thank you!